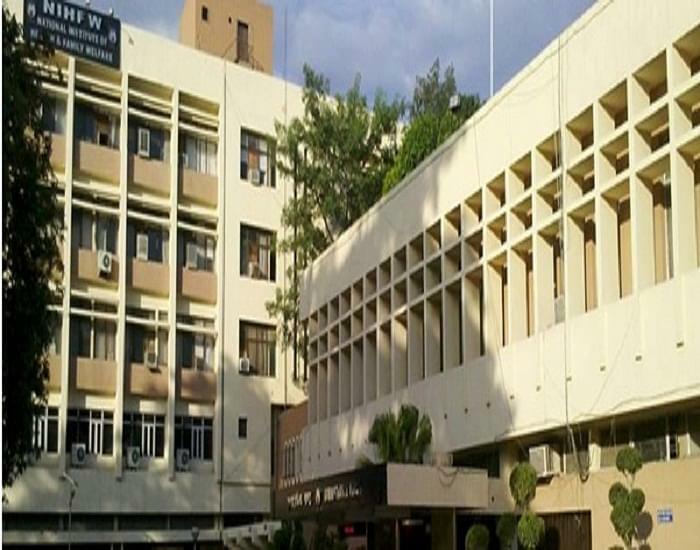 National Institute of Health and Family Welfare was established in 1977 by the merger of two national level institutions, i.e. the National Institute of Health Administration and Education (NIHAE) and the National Institute of Family Planning (NIFP). 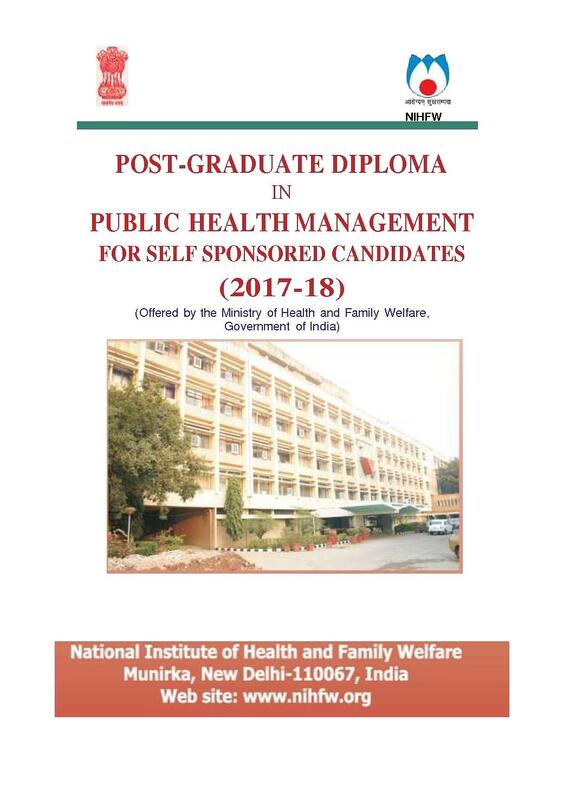 NIHFW is an autonomous organization, under the Ministry of Health and Family Welfare, Government of India which acts as an apex technical institute for the promotion of health and family welfare programmes in the country. 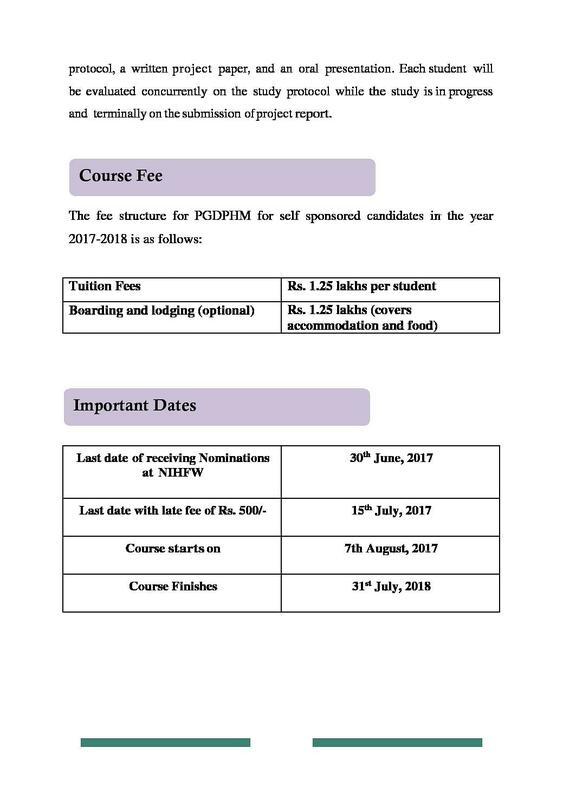 The institute offers post-graduate diploma, degree and certificate courses in various aspects of Health and Family Welfare such as administration, biomedical sciences, demography and statistics, social sciences, communication, health economics, population sciences, population education and management sciences, etc. 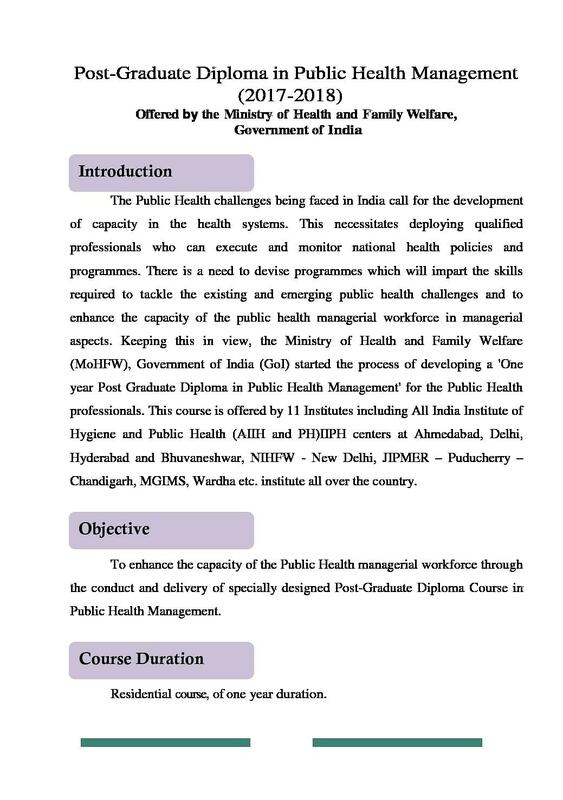 The institute envisions being an Institute of global repute in public health & family welfare management. The mission of NIHFW is to be a catalyst & innovator for management of public health and related health & family welfare programmes by pursuing multiple functions of Education & Training, Research & Evaluation, Consultancy & Advisory services as well as provision of specialised services through inter-disciplinary teams. 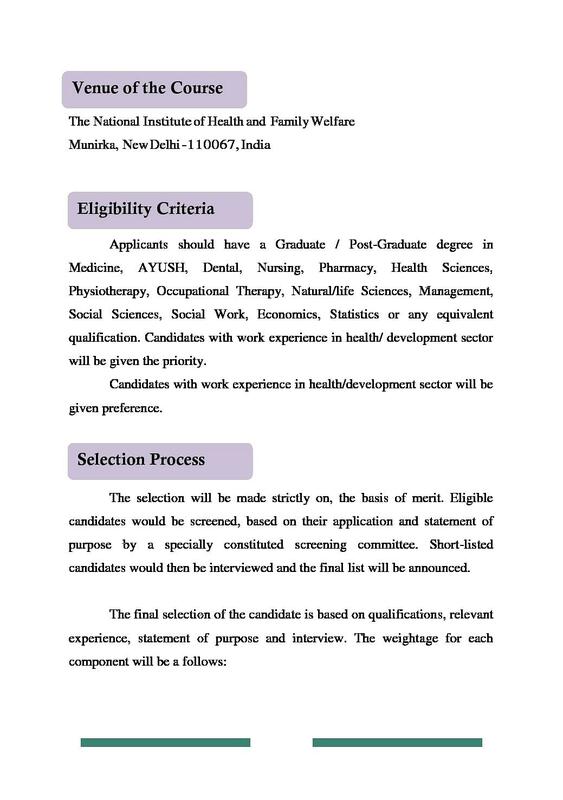 Why to JoinNational Institute of Health and Family Welfare? 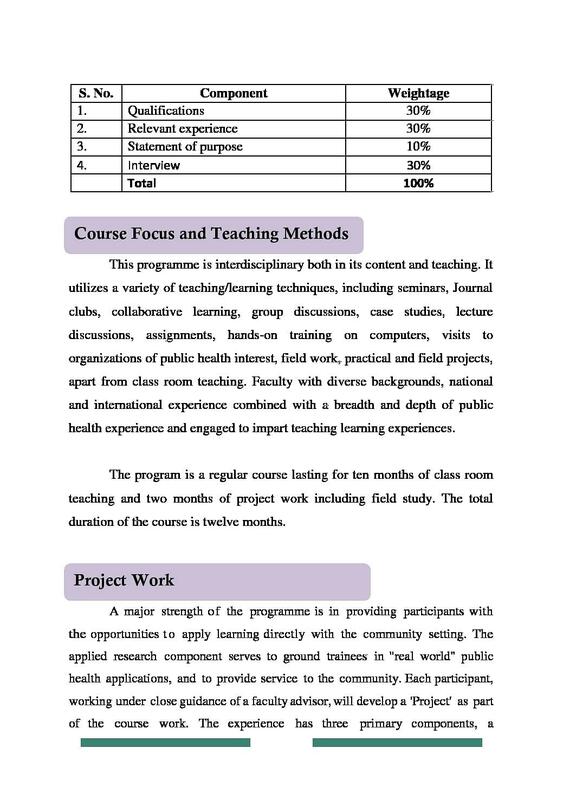 Institutional Training- The institute offers industrial training to its students on Health and hospital Management, Health Communication, Training Technology, Health Systems Research, Reproductive Child Health etc. varying from 1 Week- 10 Weeks.